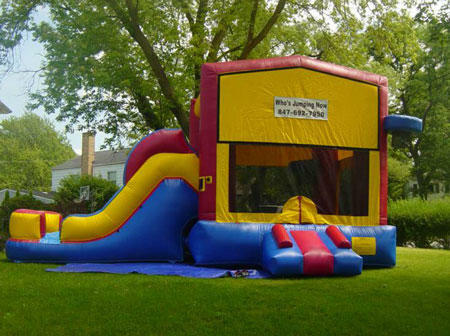 The 5n1 Combo Bouncer is a great value with all it's added features. 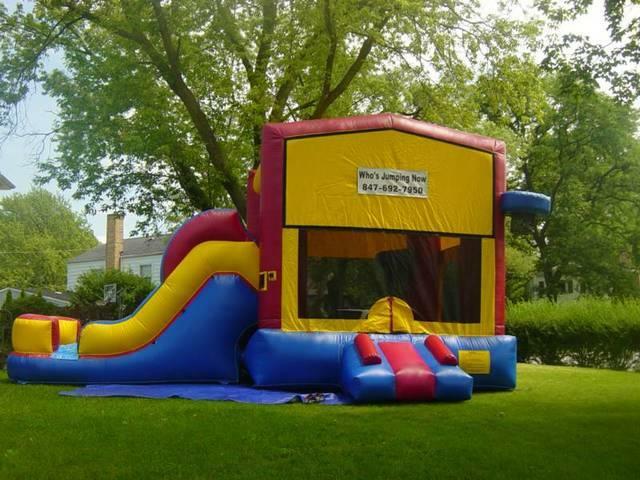 This colorful, primary colored combination bounce & slide has a large bounce area with a basketball hoop inside. Just imagine the jumpshots you can make from the bounce floor! There's also a basketball hoop outside as well. Top it off with an exciting climb & slide to the exterior. Great choice for boys or girls!